If ever there was a group of musicians destined to play at the renovated Mountain Park in Holyoke, Mass. the northwest’s own Fleet Foxes would have to be near the top of the list. Touring behind the release of their latest studio album “Helplessness Blues,” the Foxes led by lead vocalist and songwriter Robin Pecknold closed the 2011 summer season at the popular outdoor venue Sunday with an impressive nearly two hour set that featured plenty of new and classic material. “I’m so glad to finally be playing in the birthplace of volleyball,” the normally reserved Pecknold joked partway through his group’s performance. While one would be hard-pressed to imagine a less likely candidate for hitting the hardwood or beach than Pecknold, few songwriters of the current generation seem able to match the Seattle native when he’s at the top of his game. Whether moving from the enchanting harmonies of “Mykonos” to the mature gallop of “Grown Ocean,” or from the deftly finger-picked “Sim Sala Bim” to the squealing saxophone of “The Shrine/ An Argument,” Pecknold as well as the rest of the band often attacked many of their songs with an aggression that is typically lacking from their recorded work. Later on, while the rest of the group took a break before the encore, Peckold emerged from the wings solo to again thank the crowd for coming out to the show. And as a reward of sorts, those in attendance were treated to a new song penned “just a few weeks ago.” The haunting “I Let You” clearly showed that even when stripped of his fellow musicians Pecknold can ably command a room (or in this case the great outdoors) with just his voice and a handful of chords. Still, at their core, the Foxes remain a combination of talents that when pooled together create a musical magic reminiscent of the best aspects of such ‘60s legends as Crosby, Still and Nash or the Beach Boys. And by the time the ensemble finished the night with their latest album’s title track, those in attendance likely couldn’t help but feel closer to a band and songwriter who at times seems only too willing to keep others at arm’s distance. Sure he may still act like a “sad guy,” as one fan shouted to Pecknold during his solo time on stage. But by sharing his extraordinary gifts with others, one couldn’t think of a nicer friend to have around. Indie rock openers the Walkmen delivered a short early set that, according to comments made by Foxes’ leader Pecknold later in the night, was apparently planned almost entirely from scratch before the group took the stage. Fittingly, such a relaxed atmosphere allowed time for special birthday wishes to be paid to drummer Matt Barrick during the show, as well as for a sedate rendition of the traditional “The Auld Triangle” to be performed as the band’s finale. While not all of the band’s more atmospheric material translated perfectly to the gathered crowd, several upbeat numbers kept audience enthusiasm at a steady high until the Foxes took the stage. 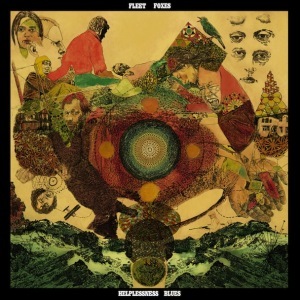 For more information on Fleet Foxes or to see future tour dates please visit www.fleetfoxes.com. To find out more about the Walkmen please visit www.thewalkmenmusic.blogspot.com. Hitting the road one last time before disappearing into the studio for the winter, the musicians making up the sextet Dark Dark Dark are ready to bring their unique brand of chamber folk/ pop to their co-headlining stint at the Iron Horse Music Hall on Saturday. Sharing the stage with fellow Eastern European folk fans A Hawk and a Hacksaw, the band led by frontwoman Nona Marie Ivie and fellow songwriter Marshall LaCount are still touring behind their 2010 release Wild Go, which was recorded at a series of locations in Minnesota including a renovated church and an old theater. However, while many bands might struggle to maintain consistency during trips from one studio to another, DDD were able to create a cohesive whole that, in the grandest of artistic traditions, also appears to equal more than the sum of its parts. From the yearning first single “Daydreaming” all the way to the atmospheric album closer/ title track, Wild Go plays like an intimate experience. Ivie’s vocals continually hover over her soft piano lines, while the rest of the group weaves in and out with light percussion, guitar and accordion. LaCount also gets in on the action, singing lead on “Heavy Heart” and “Right Path,” but his numbers inevitably feel less emotional than Ivie’s – still pleasant, but also departures from the rest of the work’s languid dream. By playing as part of the Iron Horse’s “Breakout! Emerging Artist Series,” one would think that DDD is new to stardom but the group has already had their music heard by millions thanks to their songs’ prominent placement on such hit television shows as “American Idol,” “Greys Anatomy” and others. Though you may not have heard of them yet, there’s no arguing that Dark Dark Dark’s future outlook already stands in stark contrast to their somewhat unwieldy moniker. Put on your sunglasses everyone. It’s going to be bright, bright, bright. Dark Dark Dark with co-headliners A Hack and a Hacksaw and openers Pillars and Tongues, Sept. 24, $12-14, 10 p.m., Iron Horse Music Hall, 20 Center St., Northampton, (413) 586-8686, www.iheg.com. For more information on Dark Dark Dark or to see future tour dates please visit www.brightbrightbright.com. Nostalgia? Must be a catchy disease lately. During the past week alone, a collection of musicians from years past have begun popping up in the news as various anniversaries and events have seemingly started to collide with one another in order to vie for fan’s attention. So let’s recap shall we? First off, after 31 years the band that defined ‘80s college rock and brought underground music to the masses years before Nirvana did has surprisingly announced its break-up. While many critics had lamented R.E.M.’s status in recent years as a group that had lost its way, the suddenness with which their end was announced still comes as quite a shock. After all their 15th and last record “Collapse Into Now” was just released in March, and rumors had been circulating that the boys from Athens, Ga. were already spotted back in the studio working on new material. Sadly listeners will have to wait for a career-spanning retrospective before any of the new tracks are released. However, until then, solace can still be found in the band’s impressive back catalogue. 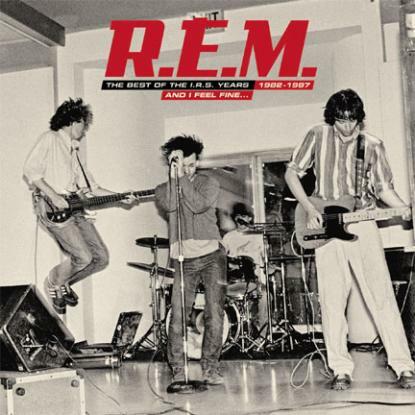 “As long as they kept running on, R.E.M. were an inspiration,” said music writer and author Rob Sheffield after hearing of the band’s demise. Let us continue to cherish the memories. For more information on R.E.M. please visit www.remhq.com. Speaking of other underground pioneers who paid a price for their trailblazing, the 20th anniversary celebration surrounding Nirvana’s seminal record “Nevermind” has been in full swing. First came the hype surrounding the upcoming deluxe reissue of the iconic album itself, along with a bevy of other assorted Nirvana goodies including DVD’s, remastered recordings and vinyl editions. Then, word was released that former band member Krist Novoselic would participate in a concert that not only honored the album, but also benefited Seattle music veteran and band friend Susie Tennant, who is currently battling ovarian cancer. The concert, which took place on Tuesday at the Experience Music Project’s Skychurch in Seattle, Wash., appears to have been a success. Besides Novoselic, who performed with Northwest rockers the Presidents of the U.S.A., the bill included appearances by the Fastbacks, former Guns ‘n’ Roses bassist Duff McKagan, and the Foo Fighters’ own Dave Grohl (via video) amongst others. Though audience reactions to the various bands’ interpretations of such classic songs as “Smells Like Teen Spirit,” “Lithium” and “On a Plain” were mixed, there was no denying why many in attendance were there in the first place. “I want to remember somebody. I want to hear a cheer for Kurt Cobain,” Novoselic said shortly after taking the stage. And after being met with a resounding cheer that echoed off the walls of the building, the former Nirvana bassist couldn’t help but smile. Watch video of the whole “Nevermind” benefit concert here. And for more information on Nirvana and “Nevermind’s”20th anniversary please visit www.nirvana.com. Directed by Cameron Crowe, the movie – which “chronicles the years leading up to the band’s formation, the chaos that ensued soon-after their rise to megastardom, their step back from center stage, and the creation of the trusted circle that would surround them,” – will receive a limited one-week run in select theatres nationwide starting September 23. A soundtrack album was also released to accompany the film and will feature rare and unreleased tracks from throughout the group’s existence. For more information on Pearl Jam or to find out more about where the documentary “Pearl Jam 20” is playing near you please visit www.pearljam.com and www.pj20.com. Filed under Northeast Underground Tagged with album, Blog, movies, music, Nevermind, news, Nirvana, Northeast Underground, Pearl Jam, R.E.M. In recent years, the country music landscape has become harder to traverse than ever before. Increasingly a series of artists, with roots seemingly honed by the history of pop songcraft as opposed to the sawdust and cowboy boots approach the genre was spawned from, have made impressive inroads into what was once the most traditional of fields (I’m looking at you Rascal Flatts!). Even the charts themselves have been transformed with crossover hits an almost commonplace occurrence thanks to acts like Bon Jovi, Aaron Lewis and former Hootie and the Blowfish singer Darius Rucker, who have all taken their respective turns in the Nashville spotlight. However, as is the case with most subjects that have begun to lean a little too close to the mainstream waters, there exists a chosen few who proudly wear the title of throwback performer around their shoulders with pride and defiance. Hello America. Meet Nikki Lane. On her newest full-length release Walk of Shame, which was described in a recent Valley Advocate review as “more like a ‘walk of pride’ for the high school dropout turned country singer/songwriter,” Lane rekindles the vocal stylings of such perennial favorites as Loretta Lynn, Nancy Sinatra, and Bobbie Gentry with often pleasing results. For instance, standout number “Gone, Gone, Gone” reads like a classic kiss-off story sung over slide guitar squeals and galloping drums, making it the perfect way to say goodbye to either small town doldrums or a deceitful lover (maybe both). Elsewhere, the disc’s title track appears to have been written straight out of the stereotypical country handbook and features a singer who wakes up with a “bass drum thumping in their head” as well as a stranger for a bunkmate. Though such plots have been used hundreds of times before, Lane manages to put her own spin on the proceedings and does so with attitude to spare. While those seeking something with more modern flavor may be taken aback by such a retro-sounding record, the odds are good that many listeners will be won over by Lane’s sheer perseverance and obvious talent. Like she sings on the album closing “I Can’t Be Satisfied,” she “just can’t keep from trying.” But with a little luck all her years of hard work may just be on the verge of paying off. For more information on Nikki Lane please visit www.missnikkilane.com.